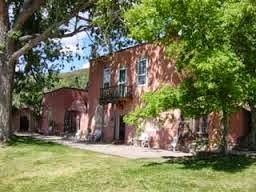 While a guest at Casa Escondida Bed & Breakfast, consider taking the docent-led tour of the historic Randall Davey House during your Santa Fe vacation. Casa Escondida is a Santa Fe area B&B which is located in historic Chimayo, NM (just 35 minutes north of Santa Fe). Randall Davey was an important part of the celebrated Santa Fe Art Colony scene. Davey is best known for painting still lifes, horse-racing, polo scenes, nudes and landscapes. However, he was also a printmaker and a sculptor. Davey is considered by many to be a vanguard of modern art. In the early 1900s Davey came to Santa Fe and purchased an unused mill on the outskirts of town, which he converted into his home and studio. Here, he created his art until his death in 1964, at the age of 77. Everything has been preserved as Davey left it. Davey’s works, along with antique furnishings and his personal effects are exhibited in his house and art studio. Guests of Casa Escondida B&B can call 505-983-4609 to reserve their space for the Randall Davey home and studio tour, which is offered every Friday at 2 PM for $5. The Davey home and studio is located at 1800 Upper Canyon Road in Santa Fe. 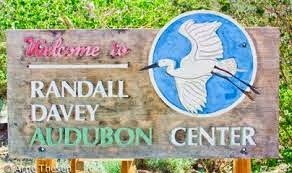 In 1983, the Davey family gifted the property to the National Audubon Society to be preserved as a wildlife sanctuary and used as an educational, cultural and historical center. The tour of the Randall Davey House is just one of many Santa Fe vacation activities that are available while a guest at Casa Escondida Bed & Breakfast. Casa Escondida B&B is a delightful New Mexico retreat, which has rooms available year-round. We are perfect for a romantic New Mexico getaway too. Contact Casa Escondida B&B to check room availability or to inquire about a reservation. Casa Escondida Bed &Breakfast is a green bed & breakfast, which provides Santa Fe area pet-friendly lodging in 4 of our 8 guest rooms. Enjoy your New Mexico travels and Casa Escondida Bed & Breakfast! We look forward to having you as our guest!